The 10 best car waxes are available in three forms: liquid, paste, and spray. Paste wax is easy to apply, liquid wax cleans best, and spray wax leaves the fewest stains on plastic car parts but can prove to be harder to apply uniformly and buff out. 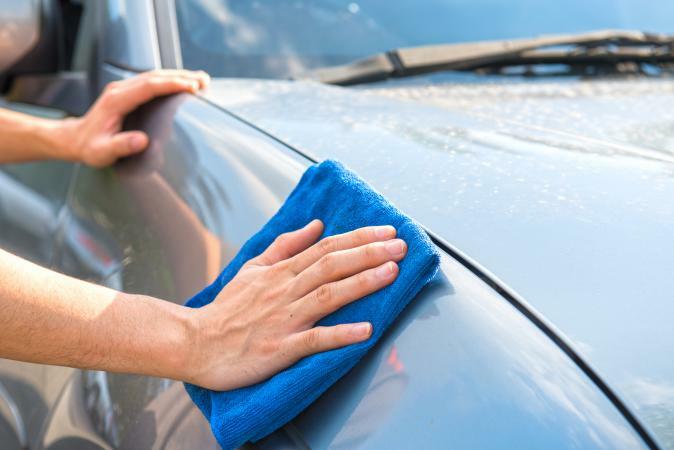 If your car is an older model or the finish shows signs of oxidization, you'll probably do best to use a car wax that ranks highly for cleaning to bring back the shine. Highly rated on Tendango, Mother's Original Formula Carnauba Cleaner Wax is easy to apply and cleans and protects in one application. It's a light polish that softens minor flaws and makes your paint look its best. It's particularly effective on fiberglass and gel coats. You can buy this wax in liquid or paste form. 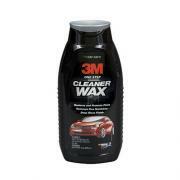 Consumer Reports lists 3M One Step Cleaner Wax as its number one pick for car wax. This liquid wax cleans and polishes in a single step, helping to restore your car's shine with minimal work. 5 Star Shine gets almost five stars from reviewers on Amazon, including several professional auto detailers. Its special patented PPS (paint protection system) formula provides long lasting shine that promises to outperform other products. It is guaranteed to last for years as it repels dirt and holds its shine. 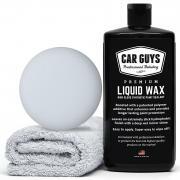 Amazon's top selling product in undercoatings, CarGuys Liquid Wax has hundreds of positive consumer reviews. It's designed to be easy to apply and features a polymer additive that enhances your vehicle's shine while protecting it from the elements. Another top performer in Consumer Reports' tests, Autoglym Super Resin Polish is easy to use and cleans and protects in one step. This UK-based liquid wax is available internationally, and reviewers on Amazon praise the great results they've received with it. 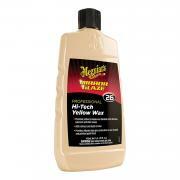 CarsDirect is a fan of Meguiar's Number 26, noting that it is one of the best car waxes you can buy for black cars. The liquid wax is also great for other dark colors, and CarsDirect notes you can buy other Maguiar's products for light-colored vehicles. MSN Autos praises Angelwax Formulation #1 for its ease of use and effectiveness. Developed in 2009, this paste wax is popular with auto enthusiasts who also prioritize durability; the high shine finish can last for six months without reapplication. According to YourMechanic, P21S Concours Carnuba Wax is the best option on the market due to its purity and gentleness. It goes on smoothly and won't stain plastic trim. Among the top car waxes ranked at Tendango, One Grand Blitz Carnauba Wax works well on all kinds of paint colors to protect against harmful elements. This easy-to-apply wax contains no cleaners or abrasives and is long-lasting. According to Driving Geeks, Meguiar's Synthetic X-Press Spray Wax isn't just the best spray option; it's the best wax on the market. This easy-to-apply option doesn't stain the plastic trim on your car.